Who Keeps Count of Birthdays After 150 Anyway? Nick Trammell would have been 239 years old on January 13, 2019 . . . but who's counting? Trammell was born in 1780 just outside of what is now Nashville, Tennessee. When I was thinking about what to write to recognize his birthday, I recalled again how the years of his life were incredibly pivotal in the history of our nation and the state of Texas. My former mother-in-law was almost 100 years old when she died and it is incredible to think about all she saw in her lifetime. For Nicholas Trammell, his span of years was just as remarkable. “The Station Camp - Dogs and Deerskins” by David Wright. Used with permission. www.davidwrightart.com. The Trammells and the Mauldings, his wife's family, were early arrivers into the Tennessee-Kentucky settlements, holding key offices as justice of the peace, sheriff, and captain of the militia. Trammell grew up in the county where Andrew Jackson had his legal practice. When he left Tennessee and began settling in the Missouri Territory it was only five years after the Louisana Purchase. Along with other Tennesseans, Nick was among the earliest Anglo settlers to push into Missouri, Arkansas, and ultimately to Pecan Point on the Red River when Texas was still Spanish territory. When it became Mexico, he tried to head south into Austin's colony like many others but was rejected due to his poor reputation. In the leadup to the Texas Revolution, it was his presence at a Trinity River crossing of the El Camino Real that led to his expulsion from Texas, and to the Fredonian Rebellion in 1826. Trammell spent the next 25 years in Arkansas along the roadways increasingly filled with other Anglo immigrants to Texas. When he and his family finally moved back to Texas, where he died in 1856, he had seen Texas move from Spain to Mexico, to Republic, and finally to statehood. The explosion in the population and the increasing loss of the "frontier" of East and Central Texas was complete. Cotton and slavery had come, and Texas was never the same. Nicholas Trammell lived on the periphery of some of the most pivotal events in our history, and in the middle of more than a few. May we always remember how he and other ancestors paved the way through their own hardship and loss. . . . and won a few horse races along the way. Our cousins in the more northern latitudes have a different relationship with December than we do here in East Texas. During a recent vacation in New Hampshire and Maine we found things starting to shut down "for the season" on Columbus Day. In North Carolina this week, I saw signs coming out in preparation for closing part of the Blue Ridge Parkway due to the coming weather. Here in Texas, even with a crazy one-day snowfall like we just had, winter is just now becoming the time to get outside. In Texas Decembers past, much the same was true. The later months of the year, after all the harvests were completed, was a time for moving about the country. Reminders of those December moves are found all through the history I researched for Trammel's Trace. In December 1820, Moses Austin arrived in San Antonio, working to gain permission to bring 300 Anglo colonists into Mexican Texas. A year later, Daniel Shipman and his family were on the move toward that new colony. Shipman and his family moved along with other Tennesseans to Arkansas in 1819, and then to Spanish Bluff on the Red River. They followed Trammel's Trace from Pecan Point to Nacogdoches on their way to Austin's colony. By December 1824, Nicholas Trammell and his family had moved south as well, ending up on the Trinity River at a crossing of the El Camino Real. The land he occupied was part of an ownership dispute with an old Spanish landowner named Sartuche. At the end of 1826, Trammell was chased off the land in a precursor to the Fredonian Rebellion. Stephen F. Austin, in December 1826, wrote the Mexican governor to say there are "some bad and rebellious men, who must be expelled from our country." Those bad men issued their short lived Fredonian Declaration of Independence on December 21, 1826. Weather made December travel more tolerable, but we all know winter to be the wet season at times, and snow can surprise us at any time. On a chilly Christmas Day in 1841, Josiah Gregg, a diarist and frontiersman, traveled up Trammel's Trace. A light snow fell on the group as they crossed the Sabine River at Ramsdale's Ferry. He noted the river was only a "half leg deep, so forded easily" (pause here to shiver). As Mickey and I make our way up interstates and paved highways to Alto and Caddo Mounds State Historic Site today for a presentation, I'll be thankful for the temperature controls inside the truck and revisit all these December events warmly indoors. If a group of Tatum-area citizens had their way, Martin Creek Lake State Park would have been named Trammel's Trace State Park. Not long after Martin Lake was built to supply the lignite-based power plant, efforts to get the state to build a park got underway. 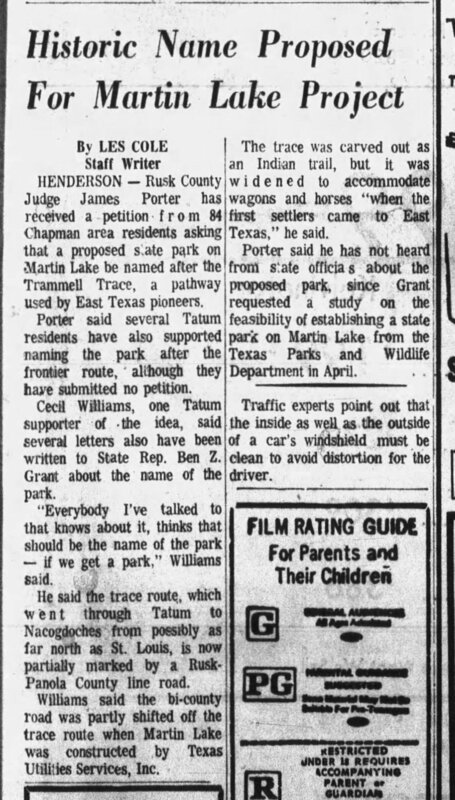 In June 1975 while the park idea was gathering steam, Rusk County Judge James Porter was given a petition from 84 Chapman area residents suggesting the park be named after Trammel's Trace. Judge Porter and State Representative Ben Z. Grant had both heard from others in Tatum, led again by Cecil Williams, long-time publisher of the Trammel Trace Tribune, the weekly paper for Tatum. The Tatum Garden Club and the Tatum Kiwanis Club were both in support. It certainly made sense since the old trail followed the eastern edge of the lake. In some places it was just beyond the dam and in others the lake covered the former route. A year later, in July 1976, the new park was ready for opening but still had not been finally named. The group promoting Trammel's Trace State Park was still beating the drum, but a smaller group had begun suggesting Harmony Hill State Park, named for the old settlement just to the north of the lake. When Williams personally carried his the petition to the state, Texas Parks & Wildlife spokesman, Mike Herring, told him there were priorities in naming. In order they were prominent geographic features, outstanding natural resources, significant historic events or people, and several other lesser options. The Martin family, descendants of earlier settlers whose land was inundated by much of the lake, lobbied for the name it would end up with. The Martin family cabin salvaged from the area to be flooded is now at the Depot Museum in Henderson. Even though the Trammel's Trace name seemed to fit the bill, the park was instead named Martin Creek Lake State Park. There was a Trammel's Trace Marina for a time, where boaters and bank fishermen could buy bait for some fine crappie fishing. But then there was discussion about closing the lake due to selenium releases from the power plant. Now that things have settled down and miles of Trammel's Trace have been dug up due to lignite mining, maybe its time to start that petition again. Regardless of the name, Park Superintendent Nic Maloukis has been working to better interpret the history of the region and provide visitors with more information about Trammel's Trace. You can even walk part of the old Stagecoach Road from Tatum to Henderson. Martin Creek Lake State Park is a fine place to visit whatever it is named. 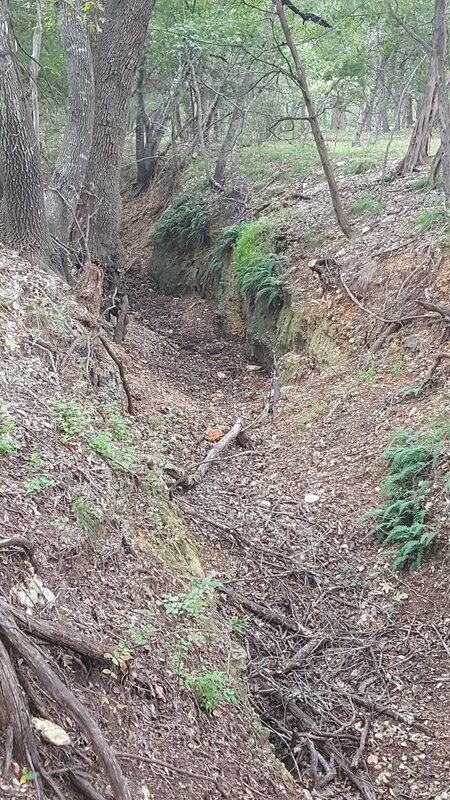 Remains of old county line road along route of Trammel's Trace that had to be relocated when the lake was built. This is looking south from Martin Cemetery. Photo by Gary Pinkerton. Ever since I read that phrase, I was captured by the sound of the words and the images it conjured up. For a time, it was even the working title for this book. I loved the way the words rolled. Wiser thoughts prevailed when it came to the title, but it still lingers for me. It is that juxtaposition and contrast of the two words that attracts me still because they seemed to so readily capture the earliest years of Trammels Trace. It is difficult to fully imagine the beauty of east Texas in the early 1800's. No human had as yet cleared land, cut trees, or plowed fields. The rivers ran true to their bounds, whether muddy or clear, and the only sounds heard were those made by nature. Early diary accounts mentioned making contact with very few people along the entire 180-mile route. Images of enormous cypress, pine, and oak come to mind, with very little undergrowth except in the river bottoms. A beautiful and tranquil image indeed. Yet within that imagination I must remind myself of the separation and distance from anything that might have been considered as civilization. Along Trammel's Trace in the years before immigration grew in 1821, there was nowhere to turn in an emergency, no place of refuge or protection. One ate what they carried or killed along the way. Wooded places of beauty were impractical for farming, and without farming few were able to keep themselves fed and alive. 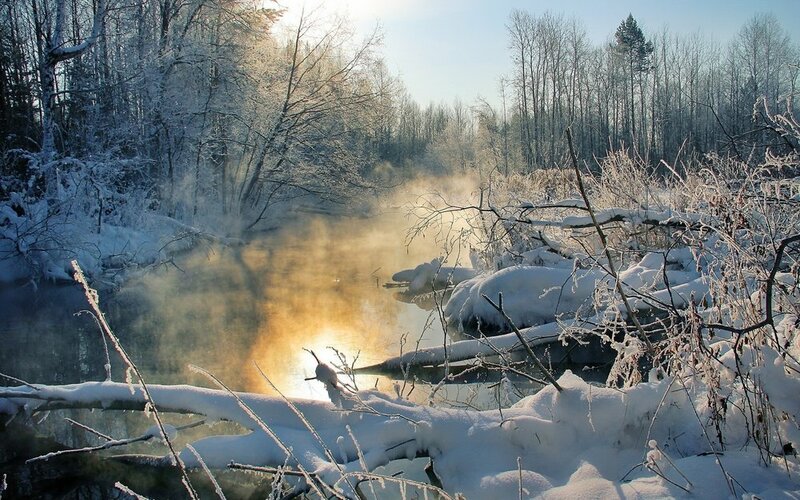 The inhospitable was never far beneath the image of tranquility and peace. Death was there in the wilds if one did not protect themselves from it. The "tranquility of the inhospitable wilds" is a phrase that will stay with me for while. Someday my artsy impulses may use it again. Man, I've been at this at LONG time. . . Thanks to my brother, Danny, for dredging up this article from a distant corner of the internet. Back in 2007, I met up with Mary Rogers of the Fort Worth Star-Telegram at the Dairy Queen in Tatum, Texas to talk about Trammel's Trace and the Hendricks Lake treasure myth. We met there for two reasons: 1) The Dude, and 2) they had wi-fi. Here is the text of the feature article she wrote. There is something about the idea of treasure hunting that worms its way into the damp folds of the imagination. Legends grow fat there and sing sweet and low of pirates and priests who held plunder in their hands -- then let it slip through their fingers for others to find. For more than a decade one team of professional treasure hunters heard the siren's call, and earlier this summer Odyssey Marine Exploration hauled up an estimated $500 million in Colonial-era silver and gold coins from a secret trove deep in the Atlantic Ocean. Television crews jockeyed for the best shots as hundreds of plastic jugs filled with the coins were unloaded from a private cargo plane at a guarded location. And right then, deep in some viewer's mind, the old legends began to sing. I heard them too, as I often do on lazy summer afternoons. But this year I didn't put them aside. I went looking for the lost treasure of Hendrick's Lake, a $2 million fortune in silver allegedly taken from a Spanish galleon by the infamous "Pirate of the Gulf," Jean Lafitte. The story that fishermen, sometime in the last century, pulled several silver bars from the muddy waters with a hoop net seemed to give this legend legs. The search was to be a lark, a pleasant diversion. I had no idea what was waiting to be uncovered. From the coast to the Cap Rock, Texas has more than 200 treasure legends. One cache is supposed to sit beneath a private 400-acre lake in the heart of the Sabine River bottom near Tatum. The ancient river snakes through Panola County near Carthage and divides Texas from Louisiana, but here, deep in this forest of pine and oak, it has always had a mind of its own. When this land was young, the river changed its course, leaving behind slivers of spring-fed water that locals call "oxbow lakes" or "lost lakes," including Hendrick's. The Sabine is a stone's throw away; some say that the ancient river and its fickle ghosts stand sentinel over any treasure that may be hidden there. In August, the thick air is filled with the shrill whine of mosquitoes. Cypress trees on the steep banks stretch their leafy arms skyward. A silvery scum tops much of the lake's bourbon-colored water and toothy alligator gar, snapping turtles and black bass swim its murky depths. Occasionally, an oil field truck whizzes up the clay lane that was once a part of an early roadway called Trammel's Trace, splashing mud from the recent rains. According to legend it was here in 1812 or 1816, or maybe 1818, along this half-mile stretch of water, that Jean Lafitte's men, afraid that they were about to be ambushed, pushed several wagons loaded with silver ingots into the muddy water. The wagons and the silver bars quickly disappeared into the soupy depths and the thick layer of bottom silt. Only one man lived to tell the tale -- the others were slaughtered. No one knows for sure if that lone survivor came back to recover the silver, but it is clear that by 1884, treasure hunters were feverishly trying to drain the lake. The Galveston Daily News sniffed at the effort. "They should transfer their operations to the Gulf of Mexico. A good deal of wealth has been left under its waters by shipwrecks," wrote one reporter. Before the treasure hunters could drain the lake completely, a storm tracked across the countryside and the angry Sabine River overflowed its banks and coursed through the lake, filling it to overflowing. Decades rolled past. Teddy Roosevelt stormed San Juan Hill. The Wright brothers flew. Ford automobiles became the rage. The stock market crashed. Prohibition came and went. Women got the right to vote. The world went to war twice. And then came the prosperous days of the 1950s. Treasure magazines became popular and searching for lost gold became an interesting distraction. True West Magazine printed a story about the long-forgotten Hendrick's Lake silver, and treasure hunters flocked to Carthage and Tatum, says Gary Pinkerton who is writing a book about Trammel's Trace and the legend. Dallas oilman Henry SoRelle and his brother A.C. SoRelle Jr. were part of the onslaught. "I was about 25 then, and my brother was 10 years older," SoRelle says. In those years, the younger SoRelle was the land man for the family's Houston-based oil business. In no time, he had inked a lease from the landowners, which included former Panola County Sheriff Corbett Akins; his chief deputy, "Cush" Reeves; and Peter Walker Adams, who wore overalls, carried an impressive knife and rented fishing boats at one end of the lake. The SoRelle brothers had a large metal detector that they hauled around the lake. "All of a sudden we got a hit," SoRelle remembers, his blue eyes shining, his fist clenched in victory. "We thought we could get a scuba diver to just dive down there and get it, but we found out the lake was very deep in silt and the water was so murky you couldn't see very far." He leans back in his office chair, smiling. "That didn't work," he says. They brought in a giant crane and attached a drag bucket to the cable, but the gooey bottom slime was too much for the machine, and the treasure was too far from the bank. More than once the crane almost toppled into the water. Soon the crane operator, fearful that he might lose his machine and his livelihood, went home. But the SoRelles weren't ready to call it quits. They built a raft with a hole in the center and sank large pipes into the goop on the lake bottom. They lowered another contraption through the pipe to the lake floor. A light would come on when a probe hit metal. "It did light up, too," SoRelle says. Encouraged, the men worked on. "We had a drill, which we turned manually," SoRelle says. The men laid into the chore with gusto, but there was too much gumbo silt to move, he says. Running low on cash, the brothers decided they needed a break -- and a better plan. They headed for their Houston homes and a few days of rest, leaving the raft anchored in the center of the lake, confident that the sheriff would protect their find. They hadn't been gone long when a great storm raced across Panola County. The rain came in torrents, and the Sabine River swirled over its banks. The river swept across the little lake, smashing the raft and washing away every shred of evidence that the SoRelle brothers had ever been there. SoRelle shrugs at the memory. The brothers left the treasure for someone else to find, he says. Barnie Waldrop, a fix-it man and inventor who worked in a radio repair shop in Carthage, was the next man to look. Waldrop had studied the legend -- and the lake -- for years and had long ago struck a deal with the landowners to search for the treasure with a water-resistant metal-detecting apparatus he perfected himself. In 1958, he finally had his chance to search. "Mr. Barnie was kind of quiet. He tended to his own business ... He wore khakis and was neat about his appearance," says Brodie Akins, 69, son of the old sheriff who owned part of the lake. "If you needed something fixed, why you took it to Mr. Barnie and he'd fix it up, but he wasn't jokey." Akins and his late sister's three sons inherited his daddy's portion of the land, but he remembers that he was in high school the summer of the treasure hunt. "Daddy never doubted Mr. Barnie," he says. Young Akins was there the day the dragline hauled up an ancient metal wagon wheel rim of the sort used on Mexican ox carts a century or more earlier. "That ol' wheel came out of the water all covered with slime," he says. "Everything shut down. The operator got off the dragline. We all thought, oh yeah, we going to hit it now. We on to something now, but that ol' wheel is the only thing they ever found," he says. The sticky silt lay more than a dozen feet deep on the lake's lignite bottom, and like other treasure hunters before him, Waldrop decided he had to move that mud to find the silver. He tried dynamite. "Snakes and fish and all kinds of things floated to the top," says Waldrop's son Philip Waldrop, 62, of Carthage. He was often at the lake with his sister Diana. In fact, she is the one who dropped the dynamite charge into the lake that day. Nothing worked. If the treasure was there, it remained hidden in the slime. Barnie Waldrop swallowed any disappointment he felt and soldiered on, writing at least one article for a treasure magazine and searching for the lost silver several more times over the years. An occasional newspaper article kept the story alive and throughout the 1960s treasure hunters found their way to Hendrick's Lake, but none matched the expeditions launched by the SoRelle brothers or Barnie Waldrop. A few years ago, treasure hunters, certain that the lake had silted in over time, decided the silver must now lay under dry land. They punched holes in a pasture near the lake but found no treasure, Philip Waldrop says. So is there treasure at Hendrick's Lake? "Some thinks there is. Some thinks there isn't," Akins says. He rocks back in a squeaky office chair and thinks a moment. "I'm not a believer in jinxes," he says, "but I've seen these people that have hunted. They've come in here with a good bit of money and they claim they get real close to it, and then that ol' river comes up and floods everything and they're right back to zero. I've seen it happen too many times. "I think there may be a jinx on it -- but I'll say it's a good legend." And what of the fishermen's silver bars found so long ago? That never happened, Philip Waldrop says. "It just was something to add to the story," he says. Back in his Dallas office, SoRelle considers the treasure he's not thought of in years. "The only way to get to the treasure is to drain the lake," he declares, "but every time someone would try ... well, it's just amazing, there would be a storm. The river would take over." If he owned the lake, he'd drain it for sure. "There's something there," he says and taps his desktop -- and his blue eyes dance. That ol' wheel came out of the water all covered with slime. Every time someone would try ... the river would take over. Snakes and fish and all kinds of things floated to the top. 1. Peruse the Internet ( www.legendsofamerica.com; www.treasurefish.com), but invest in a copy of Coronado's Children by J. Frank Dobie (University of Texas Press) and W.C. Jameson's Buried Treasures of Texas (August House Publishers Inc.) There are other Texas treasure books on the market, but these two little volumes cover most of the major stories. 2. Research the treasure that tickles your fancy and determine where it might be located; then contact someone in the area to help narrow your search area. 3. Remember that most treasure sites are on private property and you'll need permission to search before you get there. The legend: In 1894 four men robbed the bank at Bowie and made off with $10,000 in $20 gold pieces and $18,000 in currency. They rode north toward the safety of Indian Territory, but when they got to the Red River they found the water too high to cross. They camped near a grove of trees for the night. Meanwhile, the Bowie sheriff telegraphed a U.S. marshal named Palmore and told him to watch for the outlaws. Palmore apprehended the outlaws at the river crossing the next day and hauled them off to the hanging judge in Fort Smith, Ark. Before the men were executed, one told Palmore that the gold was buried at the campsite -- and then he winked. The location: The gold is said to be on the Texas side of the Red River at the confluence of the Little Wichita River. The legend: Sam Bass and his outlaw gang robbed many trains and stagecoaches and stashed the loot in several locations. In 1877, it is said, they robbed a Nebraska train of a fortune in newly minted gold coins. The robbers divided the gold and rode off in different directions. Young Bass made his way to Denton and hid his portion of the prize. Around 1900, a farmer near Springtown, northwest of Fort Worth, found a trunk filled with 1877 gold coins that many believe is part of the treasure -- but only a portion. 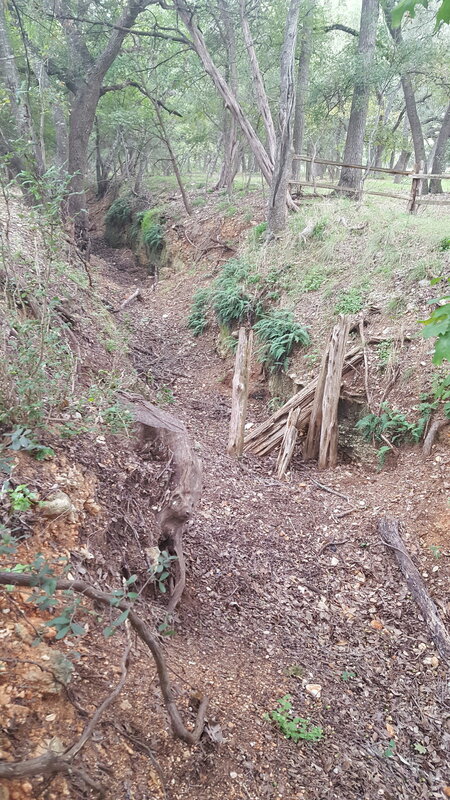 The location: Treasure hunters say Bass' part of the gold is hidden at Cove Hollow, a brushy ravine shot through with shallow caves about 30 miles from Denton. The legend: For more than two centuries, this lost mine with its rich vein of silver has been the Holy Grail of Texas treasure seekers. In 1756, Don Bernardo de Miranda, a Mexican official, learned of the mine from an Apache guide. It's said that American Indians worked the mine, often trading the ore in San Antonio. Over the decades, many men looked for the mine, including Jim Bowie a few years before he came to the Alamo. The location: Somewhere near Menard, on the San Saba or Llano rivers. The mailman delivered copies of the not-yet-released copies of the Fall/Winter catalog for Texas A&M University Press today. And there I am. . .
Spring? Already? Bring on Digital Winter! Not everyone will understand why I dread the onset of spring. It is not the work in the backyard, but when it comes to tracking old roads the reasons are related. Winter, if that's what we had, opens up the woods and clears out the undergrowth. The leaves leave. Not only is it easier to find ruts, it is easier to navigate through the woods to get there. Once the vines and thorns and tangles and jumble of fresh green leaves take over, it is back to the satellite images. Thankfully, there is progress being made on that front as well. As a result of some networking with a fellow rut nut, we are exploring the availability of existing LIDAR images along some of the route of Trammel's Trace. Digital genius and Texas Archaeological Steward, Bob Vernon, is on the case. In case you missed the post, LIDAR is essentially a penetrating radar imaging technique that can show depressions in the ground beneath trees or even beneath fill. Yeah. I know! Digital Winter. So I'll try to enjoy spring in the back yard and not in the woods for the time being. But who is up for some work on the ground next December??? ?